It's an invasion. Don't panic. This one is all goodness. It's the foodies taking over the Coast Capital Savings Innovation Hub based in Vancouver. Five social enterprises have been accepted to the program, and now have an opportunity to grow their resources, reach and success. This is the iHub's second year in business. It's part of at the ISIS Research Centre at the University of British Columbia's Sauder School of Business. The program is about social innovation and using business models to create a positive social impact. It's an accelerator that's bringing together early stage social ventures with B.C. 's social innovators, seasoned entrepreneurs, investors, faculty, alumni, and students. Executive director Prof. James Tansey says the biggest difference between year one and year two "is not scrambling to get up and running.... This year I think we've come up with something a little more structured, front-end loaded in terms of the the training, and focusing on the needs of the ventures. We can then focus during the summer to make sure we have students matching up to what the ventures requirements really are." At this point, the Innovation Hub is definitely reinforcing Vancouver's food culture. The fact all of the new teams are food-related is a "complete coincidence," says Jana Svedova, iHub's manager of social economy & innovation. Five teams with the strongest business models were chosen from 25 applications, she says. 'Having five food-related ventures wasn't intentional," says Svedova. "It seems to really be a reflection of some important issues in Vancouver. If you look at different areas geographically they have different social and environmental issues. I think food is something that people in Vancouver are concerned about, and there's something they can do about it." Here's an overview of the five social ventures that you'll be interested in potentially supporting. 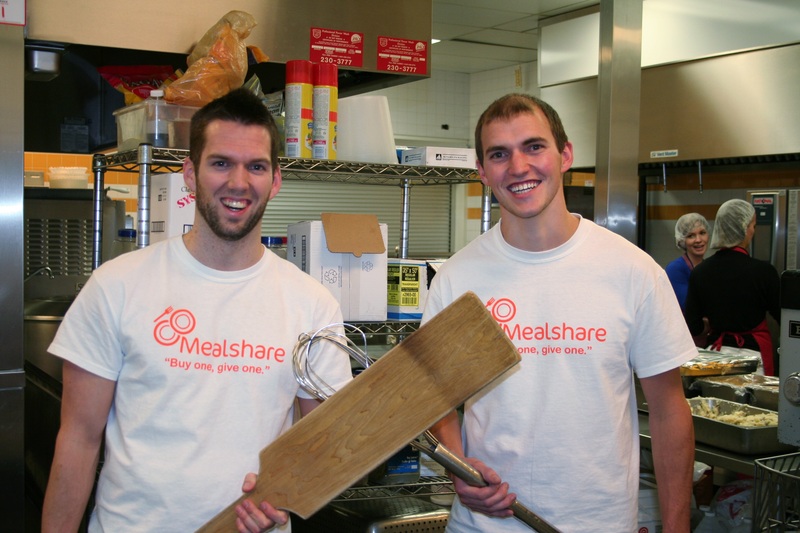 Mealshare aims to make a difference for hunger relief. You buy one meal and one meal is given away. Co-founder Andrew Hall's approach is simple "customers don't pay any extra money to order a Mealshare item, so why not enjoy a meal that helps someone else out." Skipper Otto's Community Supported Fishery, takes the "farm-to-plate" idea and brings us a "boat-to-fork" venture. Emma Holmes points out: "We're the first community supported fishery in Canada. We're directly connecting small scale fisherman to the consumer who want to support local fisherman. They share the goals of having a sustainable fishery, and knowing where their seafood is caught. It's all about the better stewardship of our ocean resources." Natural Source - Healthy Office Snacks, designs, builds and manages food stations that are free to staff. It's working with clients like Vancouver's Mozilla and Plenty of Fish. Founder Cody Irwin shares a huge list of what you won't find in their snacks. Odds are if you can't pronounce something it won't be on the label. Irwin's focus is "bringing businesses as many locally sourced products as possible. While there's not tons of single serve items available, we've done our due diligence to find the ones that are out there and taste good." Fresh Roots Urban Farm Society is transforming underused urban spaces into commercially productive farms. 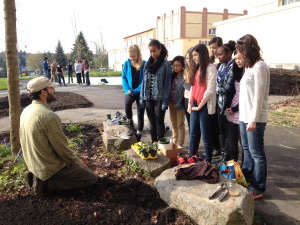 Founder Ilana Labow's straightforward mission is to help "grow communities through growing food. It's about bringing diverse members of the community together to grow sustainable food." Shifting Growth Garden Society is "a two-year-old registered charity with a mission to transform vacant spaces into temporary community gardens. 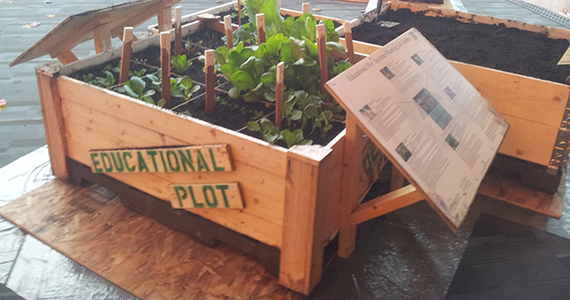 We build, maintain, and manage temporary growing spaces," says executive director Chris Reid. The Innovation Hub suggets that social ventures are the fastest growing part of the non-profit sector in North America. The most recent survey in B.C. reported that social ventures provide paid employment to 4,500. The survey also reported annual revenues of $46 million, training to 10,450, and services to 678,000 British Columbians. Business can succeed, and are succeeding with a model focusing on the quadruple bottom line that's based on people, purpose, planet, and profit. It's only by being profitable, that real and scalable social impact is made.